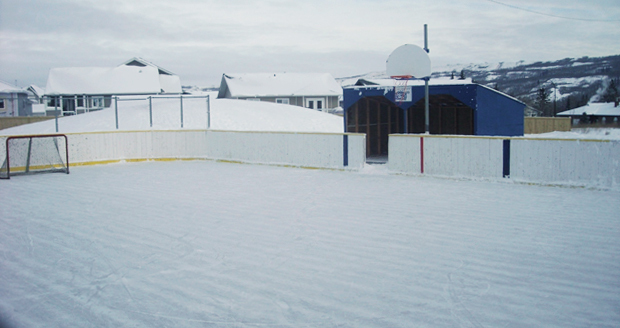 Pictured: the outdoor rink in Shaftesbury. *Rinks other than the Baytex remain open but are no longer being maintained as we move out of season. Please use the area safely and responsibly because rink(s) are unsupervised. Respect one another at outdoor rink(s) at all times. Pucks/Balls should be kept below knee level. Please place garbage in garbage containers provided. Please leave the ice/playing surface when asked to do so by Town of Peace River Staff for maintenance. The Town of Peace River is not responsible for any injuries or damages that may occur on Outdoor Rinks and reserve the right to close Outdoor Rinks should it become necessary for any reason. For more information, or to report a concern, please contact Community Services at 780-624-1000.